I grew up in Germany after a time in history when the German people had had a very bad experience with patriotism. The love for the Fatherland (not Homeland as it’s called in the US today) had been used to rally most of the German people to commit mass-murder and be mass-murdered. I was born when that experience was still very fresh and that means that I did not soak up any patriotism with my mother’s milk – just the opposite, patriotism was something to be despised. Especially when I was little, this was more a feeling than an intellectual understanding. I never lost that gut-understanding and, coming to America, one of the most patriotic countries on this planet, did not change that a bit. This must be the reason that at this time of the year, with the independence day looming, my toenails start to curl up a bit in anticipation of all the flag waving and land-of-the-free singing. Though it appears that I am not alone with this uneasy feeling confronted with the love for the fatherland. Leo Tolstoy defines patriotism as the principle that will justify the training of wholesale murderers. That actually, I have to admit, is a bit stronger that just the feeling of toenails curling up. Gustave Herve, another anti-patriot, calls patriotism a superstition – one far more injurious, brutal, and inhumane than religion. So, what is the problem here? A bigger part of the world’s population is patriotic, and what is wrong with loving one’s country? Don’t we all have fond memories of the house we grew up in, the neighborhood, the city? And should that not extend to the country? But why stop at the country border, should we not expand that out to the whole world, or, in a short time, after somebody finally invents the warp drive, the whole galaxy, the universe? Maybe we will have to look a bit closer what this ‘country’ that many are so patriotic about, really is. What happens at the border between two different countries? One of the most guarded borders I know of is the one that, for so many years, existed between East and West Germany. I have crossed it several times and it was indeed the feeling of entering a different world. But the difference was not the language – German of one kind or the other on both sided. The land itself? No, because now, that this border is gone, you can cross that line without even noticing it any more. And it’s not culture either because these two Germanies had been one culture before they became two countries. The only thing I can see, that was really different, was the group of rulers. On the Western side it was Konrad Adenauer and on the Eastern side it was Walter Ulbricht, each with his gang. It now appears to me that the only difference between somebody named Franz in East Germany and somebody named Hans in West Germany was the ruler they considered themselves be a subject of. Very similar to Jack in Oklahoma who claims to be a subject of Mr. Obama and Jim in Calgary who thinks he has to answer to M. Harper. The display of patriotism here in the US of A, once the 4th of July roles in, if we really go down to the very basics, just means the pride to which dude that patriot is willing to give his money, life and children. Let us look briefly at the ‘land of the free.’ That turns out to be a dud very quickly. If it were the land of the free, and I had decided that it is good and fair to give half of my money to somebody to do with it whatever he pleases and on top of that allow this person to take my children and train them into potential soldier for his cause, then I should be able to choose who what person would be, right? Could you just send your 50% taxes over to Mahmoud Ahmadinejad (that’s the dude over in Iran, in case you don’t have the current political scene at your direct disposal)? Or, to be a little bit less radical, send if over to Steven Harper? See, the idea of the ‘land of the free’ is right out the window – we are subjects! – Just so well trained and indoctrinated that the very idea of being able to select the ruler to receive one’s contribution appears idiotic. Now the question comes to bear if there is anything we can do to change this situation. First we have to investigate the idea of ‘being proud of’ something. Can I really be proud of an accomplishment that is not mine? I had considered this question before when sitting in traffic. Unfailingly, once in a while you wait behind a ‘Proud Parent of Something or Another.’ Honor student, cheer-leader, etc. I had wondered on occasion what reason these parents have to be proud. I can understand that they are happy – but proud? Why? It’s something their children have accomplished. Then again, maybe not, perhaps there was a father sitting in the car in front of me who had always, dutifully, done the homework for his son. But I actually don’t think that was the case, I don’t believe they would have advertised that on the back of their car. Same for being a proud American – proud of what accomplishment? Making lots of money so that it can be collected by the tax man to build bombs with, which are then thrown on people the proud American has never met and who he has no quarrel with? Would that really be something to be proud of – if it was actually true? Can you be proud of making somebody so jealous, I mean so badly jealous, that he starts to fly airplanes into some bankers buildings? Wouldn’t it be something to be much prouder of, that, after you really created so much wealth, you would reach out and help those in need to get to where you are, as well? Wouldn’t that be something to be proud of, to do deeds that other will actually love you for? Acting like that would require clear and logical thinking, something that cannot be expected in the presence of emotionally charged propaganda. One of the most emotionally charged areas in our lives are our children – we do anything to protect them and give them a better life. Thus the easiest way to get somebody blindly lined up behind a cause is the statement “it’s for the children!” And how do we protect our children best? Sending them to war to fight for freedom – that is the true spirit of patriotism. Yes, I am well aware that this does not make any sense. How about you? Now we might make the mistake to blame those people who spread this propaganda and who manipulate in order to gain power. That would be the wrong target for our indignation. The correct target is the one looking at you back from the mirror when you brush your teeth. There are always people around that want to cheat, who want to get something without actually creating a value that can be traded. They are easy to handle. You might fall for their schemes once or twice, but then you understand and you just don’t deal with them. If they don’t find new victims they will just wither ways and the gene pool got a little bit better. The problem is our conviction that there is any legitimacy to their action, even if their random rules are called ‘law’. That these ‘laws’ are utterly random, without any basis in logic, becomes clear when you ask yourself why it is OK to smoke one kind of leaves, while you go to jail if you smoke another kind. I know, it is all there to ‘protect our children.’ But we already know where that comes from. Breaking any of these so-called laws will expose you to a possible punishment, and following those laws to avoid the penalty makes sense. But there is a different, much more sinister, element to our obedience to the ‘law’ beside the avoidance of punishment. Imagine you are driving out in the countryside at three in the morning. Full moon, you can see far and wide and there really is not a soul around. Suddenly, totally out of place, there is a traffic light, and, as most, if not all, traffic lights do, it shows you a red light for you to stop. If you don’t have the slightest murmur of guilt, then there is hope for you. But, chances are, you feel that you have done something bad because you broke the ‘law.’ What you feel there is the conditioning of submitting to authorities. The mysterious quality that transforms mere mortals to god-like creatures. I know, I exaggerate a bit here, but I want to make the point, that many of us carry the grain of belief in authority itself. The conviction that something like authority does exist, that there is something that makes it OK for one person to tell another what to do. But this belief is total and utter superstition. Unlike many other cultures that evolved from monarchies, this country was built on the foundation that there are no different classes that would privilege some of the members. That was the theory, but unfortunately reality sometimes does not ‘get’ it. There were just too many immigrants that had such a deeply ingrained belief that there are people better than them, that this parchment did nothing in preventing those people to create their superiors again. They were totally free not to do this, but they did it anyways. Fighting an authority is not the same as a complete conviction that it does not exist. The opposite actually – you can only fight something that you believe exist. Once we succeed in a basic change of mind about this, there will be no need any more to fight city hall – city hall will just wither away. In the process there will be some collateral damage, but this will be so minor in comparison to the continued permission to city hall to do with us what it wants. So, your homework for this glorious Forth-of-July weekend is to understand – and I mean a gut-understanding – that authority itself as a phenomenon, does not exist. Except in our mind! If you give somebody the permission to tell you what you have to do and think, he will certainly take that offer. Many might not, but there are plenty of the politician/lawyer type of people around that will take your offer with a grateful nod of their head and then get out the whip and whip you into shape. Just be aware that you can withdraw that permission at any time. It will be a bit harder than had you never given it in the first place, but it is definitely possible. 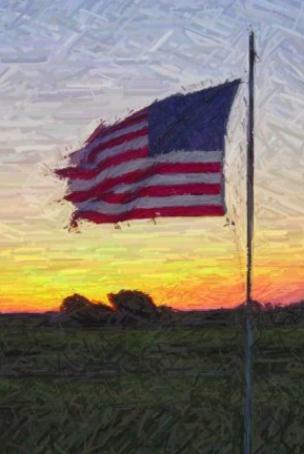 This entry was posted in Culture, Educational, Ideas, Philosophical, Politics, Thoughts and tagged coming to america, country border, fatherland, flag waving, fond memories, independence day, leo tolstoy, Mass Murder, patriotism, superstition, warp drive on July 1, 2012 by Merlin Silk. 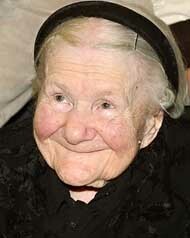 Got this very interesting and heart-warming story of Irena Sendler presented in an email today. There recently was a death of a 98 year old lady named Irena. During WWII, Iliana, got permission to work in the Warsaw Ghetto, as a Plumbing/Sewer specialist. She KNEW what the Nazi’s plans were for the Jews, (being German). Iliana smuggled infants out in the bottom of her tool box she carried, and she carried in the back of her truck a Burlap sack, (for larger kids). She also had a dog in the back, that she trained to bark when the Nazi soldiers let her in, and out of the ghetto. The soldiers of course wanted nothing to do with the dog, and the barking covered the kids/infants noises. During her time and course of doing this, she managed to smuggle out and save 2500 kids/infants. She was caught, and the Nazi’s broke both her legs, and arms, and beat her severely. Iliana kept a record of the names of all the kids she smuggled out, and kept them in a glass jar, buried under a tree in her back yard. After the war, she tried to locate any parents that may have survived it, and reunited the family. Most of course had been gassed. Those kids she helped got placed into foster family homes, or adopted. A while back Iliana was up for the Nobel Peace Prize…. I will say nothing about the story itself as I have decided quite some time ago that it is not possible for me to decide what about all the atrocities during WWII is true and what’s not. There are indications that’s just the story the victors want to tell to look good, but there is also the other side which would indicate that there really is something to all this mass murder. But the fact that I have no first hand information and no way to get them, combined with my solidifying conviction that there is no independent reality I have given up deciding what historical story might be true. So, nothing about saving Jewish kids, but what caught my attention was the tone of the writer in the last sentence, that Al Gore won the Nobel price for a slide show. I just love it when politicians are finally seen for what they really are. And if the population starts to laugh about these guys for giving themselves prizes in self-adoration then I have high hopes for all of us that we will get over this celebritizing (hey, Oxford dictionary editors, this is a new word for you!) of our tyrants, kick them out and finally build a non-violent stateless society – one in which Irena would get acknowledged for her brave action. This entry was posted in Culture, Politics, Thoughts and tagged Al Gore, Atrocities, Back Yard, Burlap Sack, Glass Jar, Global Warming, Heart Warming Story, Iliana, Independent Reality, Irena Sendler, Mass Murder, Nazi Soldiers, Nobel Peace Prize, Old Lady, Slide Show, Those Kids, Tool Box, Ulterior Motive, Victors, Warsaw Ghetto on October 31, 2010 by Merlin Silk.